Packets of locally-grown seeds and all the equipment to prepare your own tobacco for smoking. 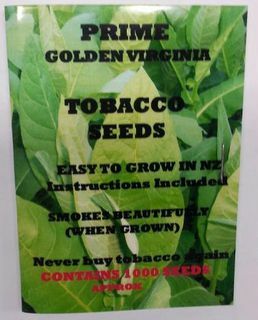 Tobacco seeds to grow your own tobacco here in New Zealand's temperate climate. Having grown your own tobacco, now you need to cut it. Having grown, dried and cut your own tobacco, now you need something to smoke it in. 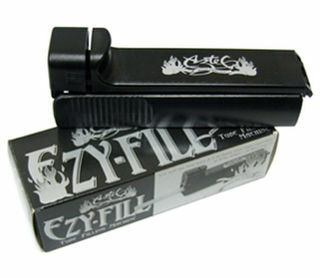 A cigarette tube consists of a regular (8mm) diameter filter included at one end of a pre-rolled, empty cigarette paper of a total length of 84mm. They are loaded with tobacco using a loader or injector or "shooter". Having cut your tobacco and got your cigarette tubes, now you need to load them.